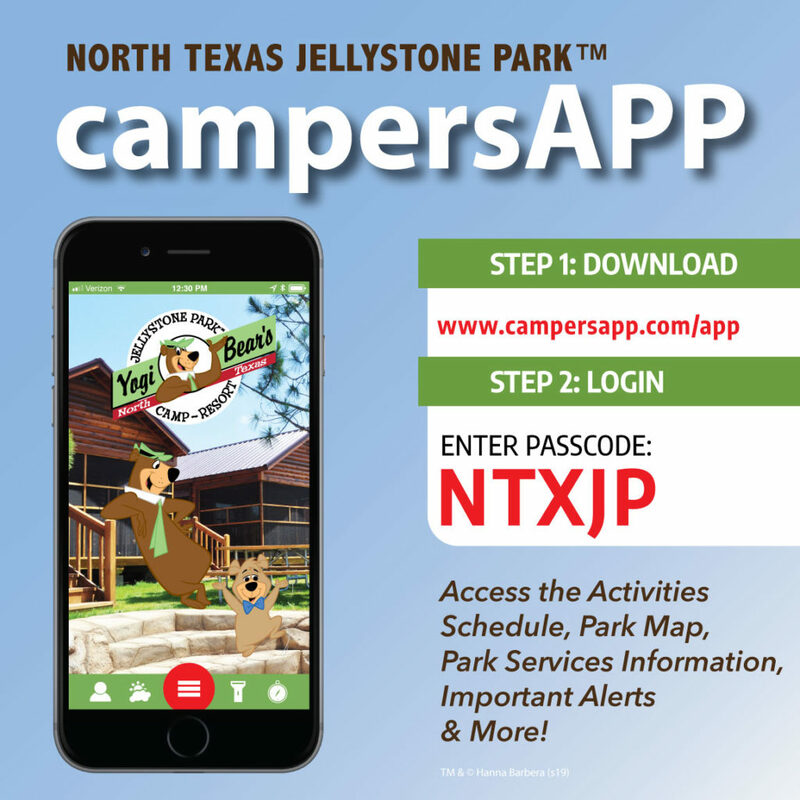 There are so many delicious things to eat while visiting North Texas Jellystone Park™! The resort’s Pic-A-NicTM Basket Restaurant is now the Kountry Kreamery and is highly sought after by hungry bears and campers alike! Guests can stop for a quick bite while on the run to the next activity. Select from fare such as burgers, wings, pizza, and drinks. The Kountry Kreamery is our new ice cream store and features flavors hand-made onsite like Yogi Bear’s Hokie Poky, Boo Boo Bear’s Banberry, and Cindy Bear’s Lavender Crunch, just to name a few. The Kountry Kreamery is THE place to eat while staying with us and is conveniently located in the Bear’s Den. Thank you for not bringing outside food & drink into the Kountry Kreamery. North Texas Jellystone Park™ is right next door to Pirates’ Cove Water Park! Pirates’ Cove has three locations to grab a quick bite to satisfy a hungry crew. Pirates’ Cove Water Park does not permit outside food and drink, except for bottled water. For those who have special diet requirements or want to picnic with your family, you may exit the park and take a break to eat and relax back your site then return to Pirates’ Cove at your convenience. Inside the Dry Zone at Pirates’ Cove Water Park, your family can dine in the pirate-themed Pirates’ Cove Grill amidships and swashbucklers, swapping the day’s tales of glory and adventure together. Pirates’ Cove Grill is open when the water park is open. All of our snack bars offer a variety of convenience-style foods to satisfy those cravings. Some of our event venues have a full-service kitchen, and some have a kitchen with a microwave and refrigerator only. Each venue kitchen varies in size and serving space to accommodate your catering needs. You may also bring your own food at no extra charge. One of our event specialists can help you determine the venue which will meet the meal requirements for your event. Interested in learning more? Please visit our Group Catering Policy page!